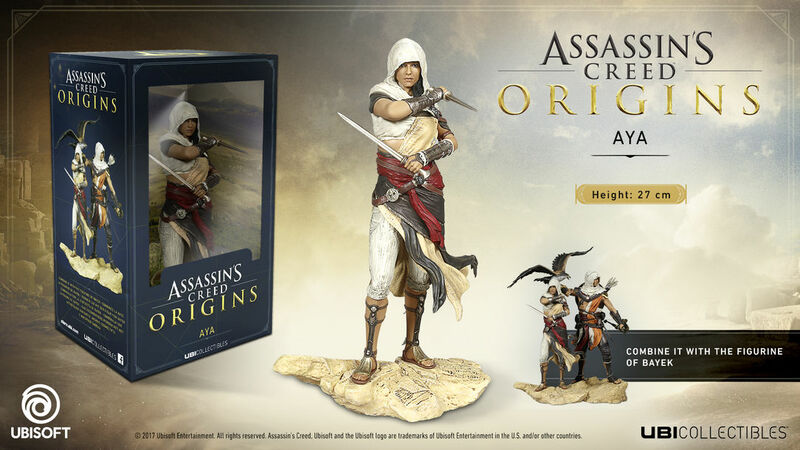 Assassin's Creed Origins collectible figurines available for pre-order | PowerUp! Ubisoft has announced today that brand new Assassin’s Creed Origins collectibles are available for pre-order. Four new figurines will be available from October 27; the Apple of Eden, Bayek, Aya and the Hidden Blade. All four collectibles have been hand-crafted from 3D in-game models. 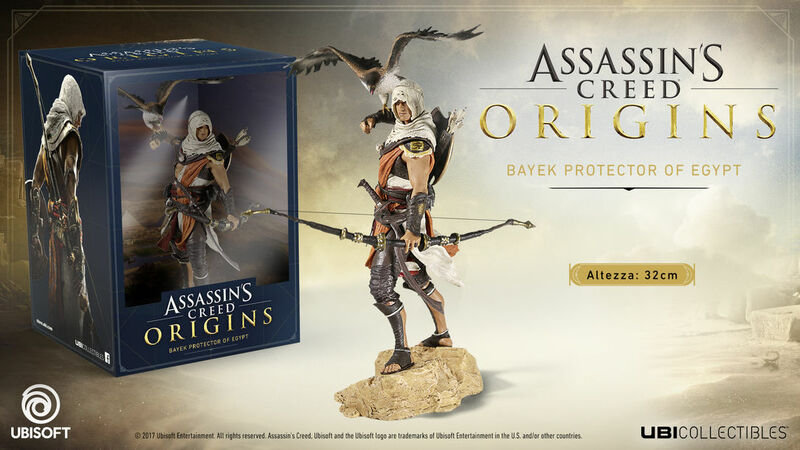 Bayek comes with his eagle Senu, a shield, bow and arrow, a sword and a hidden blade. Aya is equipped with dual blades and can be combined with Bayek to form a diorama. 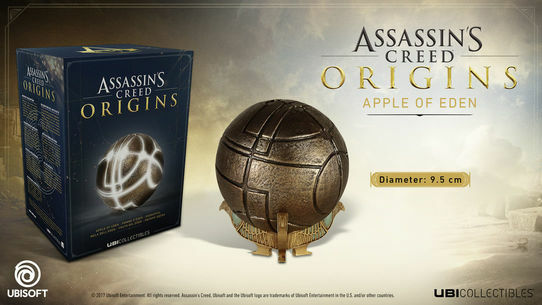 The Apple of Eden is a reproduction of the relic featured in many Assassin’s Creed games. The figurine comes with an LED system so that it glows from within. 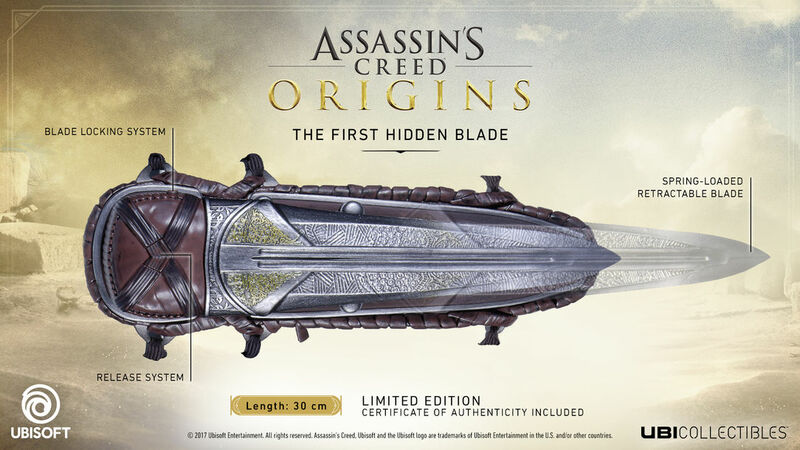 The Hidden Blade is a wearable collectible and comes with a numbered certificate. Only 9,999 will be available. Assassin’s Creed Origins will be available for PC, PS4 and Xbox One on October 27, 2017.